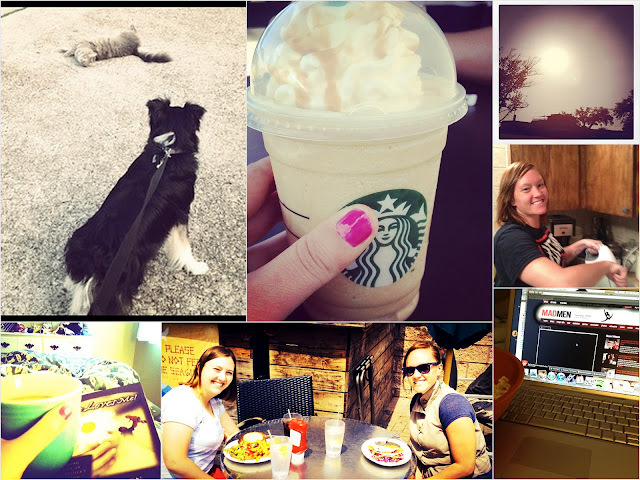 I introduced Mac to the local kitty, had a Starbucks date with the hubby, captured the lovely sun, enjoyed Galveston and making cchocolate cupcakes with my cousin, sipped coffee and read on a Saturday morning, and caught up with the latest Mad Men episode. Today, I have spent time celebrating that Jesus is ALIVE and enjoying family and friends. How has your Easter been?